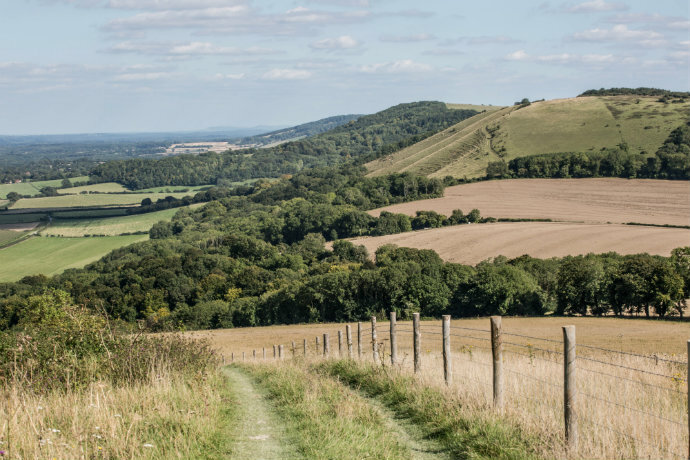 This summer, on 25 June, we’re running our first ultra, Race to the King (RTTK), all 52 miles of it! 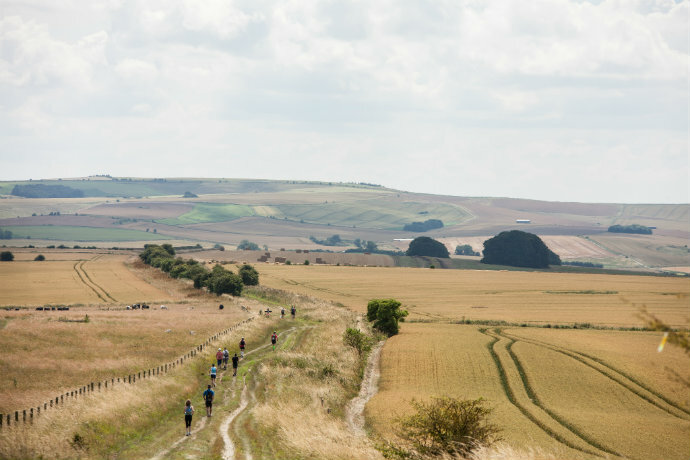 Taking place for the first time this year in the South Downs, Race to the King is the sister race to Race to the Stones (RTTS), a 100km challenge along the Ridgeway path between the Chilterns and North Wessex Downs. Runners and walkers can choose to do RTTK non-stop or over two days, stopping overnight at a basecamp. We chose one day because it seemed like a good idea at the time, although we’re starting to regret it now. 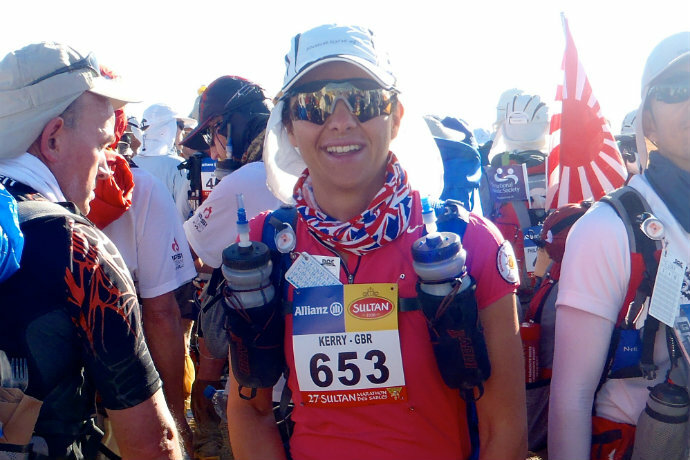 In order to get find out just what we’ve let ourselves in for and how to go about training, we spoke to running coach and ultra runner Kerry Sutton. 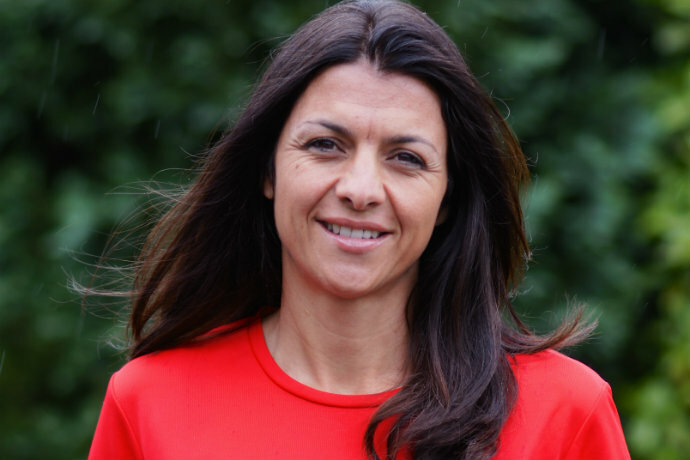 Kerry is working with Race to the King on their objective to get more women into ultras. Around 80% of ultra marathoners are men but last year, RTTS was 44% female and they’re aiming for a clean 50% in 2016. Want to come and join us? Sign up, sign up. If we can do it, you can! Kerry, can anyone complete an ultra? With the right mindset, yes. It’s more achievable than you might think. You don’t need to go fast, you can walk when you need to… it’s not about time it’s about finishing. You need a certain level of fitness and you need to train but it’s desire and mental grit that will get you through. 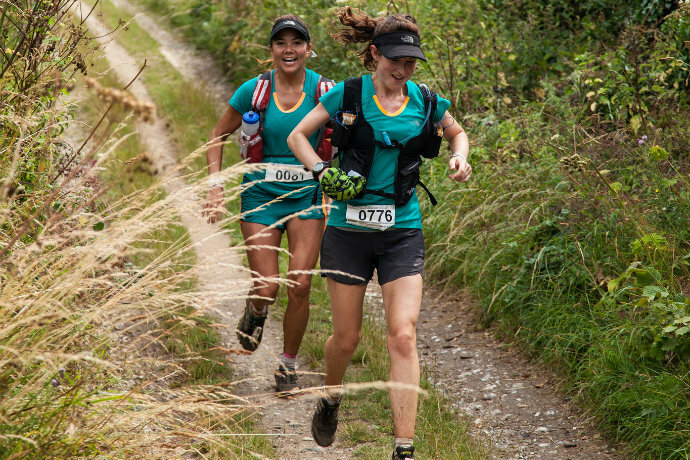 How did you get into endurance running? I used to hate running. I tried it because it was something other people did, but I fell into the trap of going too hard and too fast and finding it really uncomfortable. Then I signed up for an enticer triathlon. The run was only 2.5k but to me that seemed like a big ask. I started running three minutes on, two minutes off and building up slowly. I found that when I didn’t try to go all out I enjoyed it. I ran a few 5ks and 10ks then I saw a programme about the rower James Cracknell completing Marathon des Sables [a 156-mile multi-day race across the Sahara Desert]. I don’t know what possessed me but I decided to enter. I had four kids, I’d never even run a half marathon but I trained myself up over six months and posted a half reasonable time. That’s how I know that anyone can do it! I’ve done loads of ultras now, 100 milers, 50 milers, multi-day races, coastal ultras in Cornwall, the Everest Trail Race. I haven’t met many people who haven’t got the bug once they’ve done one. What is it you love about ultra distance? 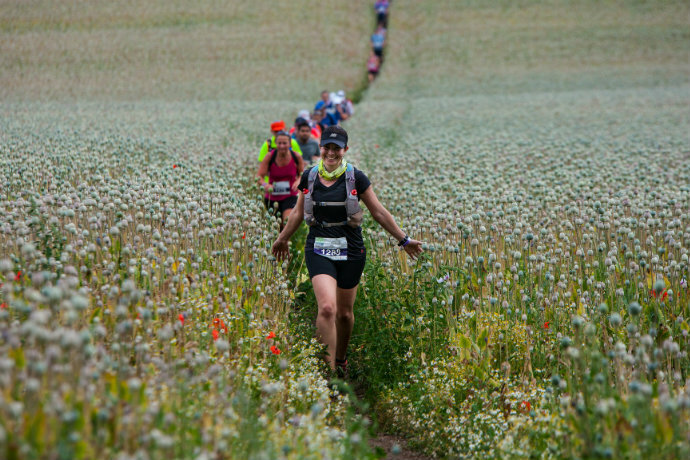 An ultra is about so much more than putting one foot in front of the other. It’s about holding your head together and pushing through the tough bits, it’s about nutrition, training, equipment, organisation… I love managing all the challenges that ultra marathons require. How long does someone who already runs a bit need to train for an ultra? Five months is ideal as it allows for those times when life gets in the way and you can’t train but four months would be ok for a lot of people. And how many hours a week should we dedicate to training? It needs to be doable and fit around life. Don’t think you’re going to have to put in 10-15 hours a week because you won’t be able to do it and you’re setting yourself up to fail. You’ll get to the start line worrying about the sessions you’ve missed and feeling unprepared. The most important thing is running consistently and getting your legs used to running, it depends on the person but fitting in four runs a week would be great, if you can manage five even better. What sort of training sessions should we be looking at in an ideal week? I’d suggest one long run, an easy relaxed run, a tempo run and a hills or speed session – hills would probably be most beneficial for Race to the King. I’d strongly advise some strength and conditioning sessions as well to get your ligaments and joints ready for the hours of impact. The stronger your glutes are the more they’re going to be able to drive you through. If you’ve got time you could add in a cross training session and yoga to help you stretch out. Make sure you factor in plenty of time for recovery too. People don’t realise it’s not the session you’re doing that’s making you stronger but afterwards when your body’s rebuilding. If you don’t get enough sleep and eat properly your body can’t make itself stronger so that session was null and void. And don’t beat yourself up if you miss a session that happens to everyone. Don’t try and catch up with two lots of training the next day just let it go, it’s supposed to be fun. Do we have to put in loads of really long runs? You need to go long to get the confidence that you can go somewhere near the distance but I wouldn’t advise running much over three hours for the majority of long runs and you’ll need to build up to that. Your body makes most adaptations in the first three hours, after that you’re not going to get a lot of return. You’ll probably want to include one or two five-hour runs in training though just to see how it feels and when the chafing starts. If you can get to five hours and you’ve got the right mental strategy you will finish. How fast do we need to be running in training? If you’re out of breath, you’re running too hard. When you’re running long you need to do it slowly to build endurance, if you run fast you’re building different types of running fitness. And there’s nothing wrong with walking, the majority of people will walk the last 20k of an ultra as your body won’t let you run all the way and plenty of people power walk the whole thing. In the race, walk up hills and run off the gradient so you don’t build lactic acid. What about nutrition during an ultra? Over an ultra distance what your stomach can process changes and so do your tastebuds. For some people this can be very dramatic, for others it isn’t. It’s a very personal experience. Some people have gels the whole way, others prefer real food. It’s about practicing in training and learning what works best for you. The distance between checkpoints in a race and how much food you’re carrying in your backpack can also affect your cadence and how you run, it’s about learning on the job. Any tips for mental training? Running those training miles is as beneficial for the mind as it is for the legs, it gives you the mental strength to get through an ultra as it teaches you to cope with wind, rain, tough runs and the elements. I also use visualisation, thinking through eventualities like what happens if I get a blister, what will I do if I feel like I can’t carry on. That way, if it happens in the race, you don’t stress, you’ve got tools in your armoury you can draw on, stay calm and think ‘this is what I’m going to do’. What about if it gets tough on race day? Mantras work for some people, I have a special person I think about to get me through. I also break a race down. I never think of it as the whole 50 miles I break it into 10ks as it’s much more manageable. I know I can run 10k, I’ve done it many, many times. I’m also a fan of counting. I say let’s see if I can get to a certain point in 10,000 steps, before you know it you’re so into your counting you’ve forgotten how far you’ve run. Finally, will we enjoy it? I think of ultras like a kid’s party. At the aid stations you’ll have tables full of jelly babies, cakes, flapjacks, flat coke… and you can eat what the hell you like. There’s a real party atmosphere and on night runs the stations often have fairy lights and music and everyone’s upbeat and cheering, why wouldn’t you enjoy that? The most important thing though is to enjoy the journey and the fact that you’re doing something really extraordinary. It’s something you can dine out on that most people won’t be able to get their heads round. It doesn’t matter if you walk or run, celebrate the fact that your body is an amazing machine and celebrate the fact it can do this.